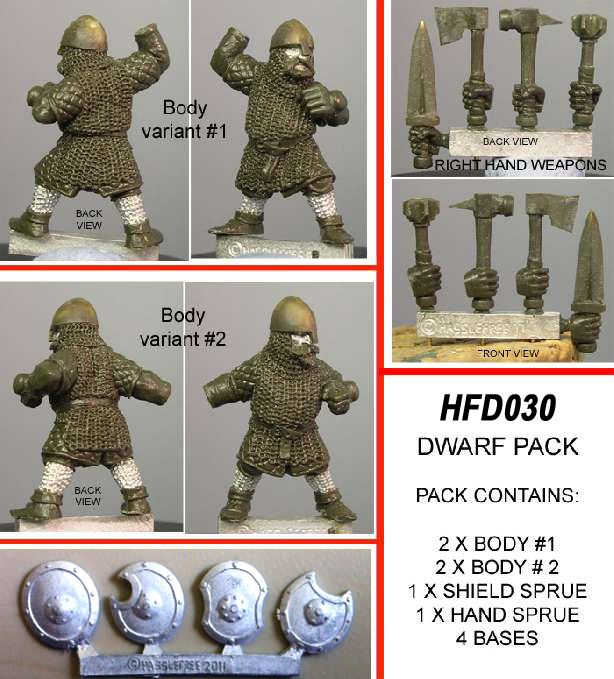 Multi-part pack of 4 male dwarves. You get 4 bodies (2 of each variant) plus a sprue of 4 shields plus a sprue containing 4 right hands holding different weapons ..an axe, a hammer, a mace and a sword. We also throw in 4 standard plastic bases. Kev has worked the armour as an extrapolation of Norman Armour but modified slightly for the dwarf physique (short and fat! ).